Heat Roster Breakdown ~ Roundball Manor - The House that Basketball Built. 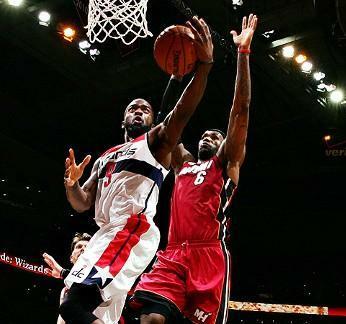 Wizards- Heat. Nose bleed seats. Never ideal, but that's what happens when the Heat come to town. Normally, these seats go for $2 on Stubhub, but for this game, they started at above $30. RGIII sat court side and the fans showed their appreciation. You could also spot him from a mile away with his bright blue outfit. D-Wade looks to be getting back to the D-Wade we are accustomed to. Sitting so high up gives an interesting viewpoint in that you really get a sense of floor spacing and player movement. D-Wade looked healthy and spry all night. He slides all over the court and runs around like a jaguar - smooth, sleek and vicious. It almost seems like he isn't trying. I recall people always saying that was how T-Mac looked when played, and it is true, but they are out there working. You can also get a real sense that he is strong. He just absorbs contact and gets where he wants to. Also, his pump fake is even more deceiving in person. You know he is going to do it and it still tricks you. James ended up with a triple-double, and it was a quiet triple-double. I actually didn't even know this until I got home and put on NBA Gametime. James had a very quiet first half which made me happy because he is the featured player on the fantasy team I'm playing this week and seemed to be struggling. Then the second half started and all that happiness came crashing down. It is compelling to watch him play because he is so much bigger than the other SFs, and the PFs can't bully him around. And yet, he is faster than most players as well. He did this baseline spin move where I would have sworn the Tasmanian Devil was playing. After mentioning those two guys, it is worth noting the amazing types of varied reaction they get when they do ANYTHING. People lose their minds when they get introduced and scream like the Beatles are in town - it also justifies them being called "The Heatles", seriously. Whenever a fast break starts and the thoroughbreds get to the races, you can feel the entire arena tensing up and sitting forward in their seats, waiting for THAT play. If either one of them contests a foul or even tries to talk to a Referee, the boos reverberate through the foundation of the building. This is especially true for James. Apparently, it is illegal for him to get within 10 feet of a Ref. Bosh played great. His first half was efficient and dominant. Jumpers, boards, put back, hustling. He played real hard. I expected him to end up with 40 pts, but he quieted down in the second half as James took over and crushed my happiness. I've noticed on TV the past few years that Mike Miller runs better than he walks. My opinion hasn't changed after seeing him in person. Frankly, I don't understand how he is able to run based on his performance as a walker. Credit to him because he is out there still doing it. Rashard Lewis didn't really do anything except draw really odd sounds from the crowd. It was this strange mix of chiding, shock, anger, heckling - yet with a slight tinge of "welcome back". I have no way of describing it. I guess not coming close at all to living up to one of the craziest contracts in history can do that. We had a Joel Anthony sighting! He is a finalist for "Player with the most unique running style". In the end, the Heat lost. Everyone in the building KNEW the Heat were going to come back at the end and win. 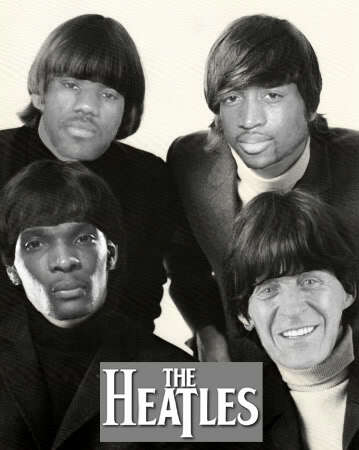 The Heat KNEW this is well as it has been their staple so far this season. Well it didn't work out that way. One thing that was eye-opening was the disparity in talent between the teams. Miami didn't seem interested in being there and were clearly playing like it. The Wizards had a double-digit lead for a while and Miami never was worried. The interesting dichotomy was how HARD the Wizards were playing. Every single play took work, focus, and execution. Even with their double-digit lead, they never seemed safe. At some point, Miami flicked the switch and the lead just evaporated, but they waited about two possessions too long to do this and it cost them. Dangerous habit, but then again, it is the defending World Champions playing a team who has tallied one win through 15 games. No one is worried. Hats off to the Wizards though they earned the win. The BULLETS escaped with win NUMBER TWO!! !